I host people at my house every week, and part of successful entertaining is having good food. Sometimes I knock it out of the park, and other times my snacks fail. I try not to beat myself up about it, or get too embarrassed because it’s all a learning process. I have a folder on my laptop dedicated to recipes I want to try my hand at. The recipes that really make an impression are safely stored in my recipe box (I use one of these). 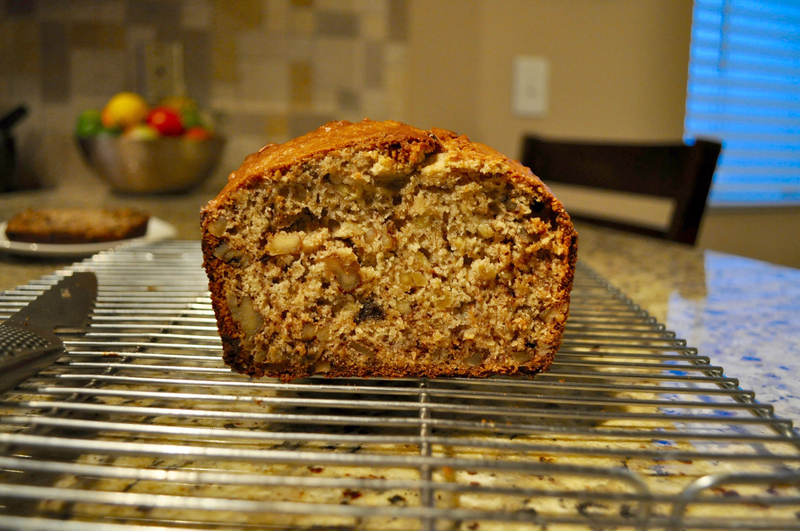 About a week ago I made this banana bread, and I’ll admit it was the best one I’ve made yet. 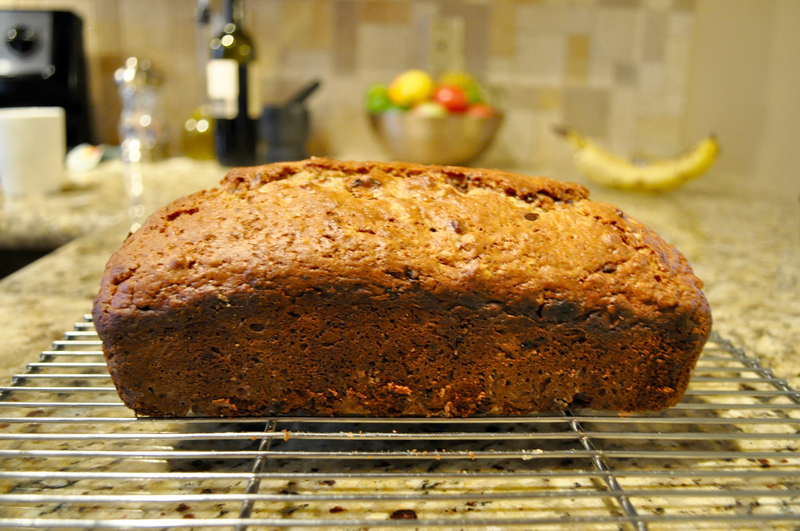 The banana bread was moist and flavorful without being overly dense. I love how the toasted walnut adds texture to the bread, and the chocolate chips gives a subtle sweetness, which complements that of the bananas. 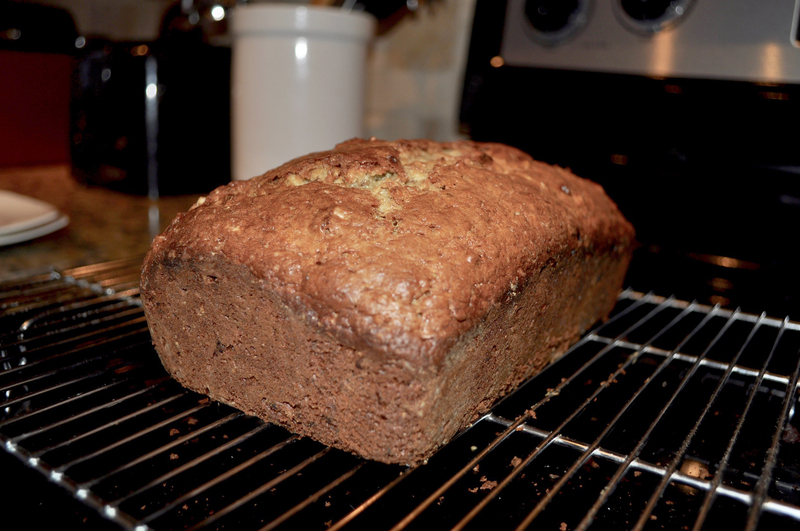 I particularly like my banana bread with a dark espresso, but a cool glass of milk is always a safe bet. The recipe I used was from Cook’s Illustrated, but in case you don’t have a subscription, this recipe is very similar. Overly baked edges will be too crunchy and lack flavor; however a perfectly baked outside adds a caramel sweetness to the bread. When the banana bread is not fully baked in the center, it will be too doughy. At the end of the bake time, I consistently check the center to ensure it’s fully cooked. This may seem like a no-brainer, but bread like this can be so fickle and I find it’s easy to over-bake. If you’re looking for a new recipe to try this holiday season, give this one a try!